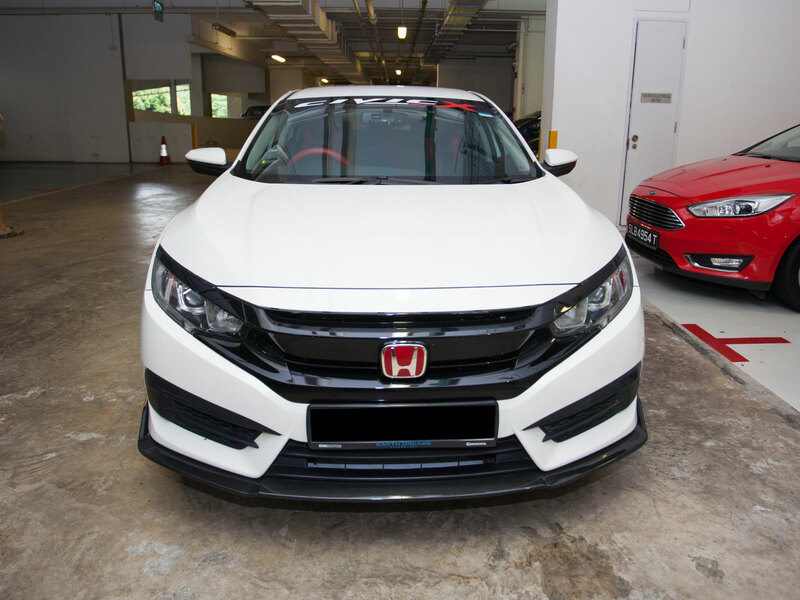 BC (BR) Coilovers for Honda Civic Type R FD2R. Part Number (BR)A-21-RA. A must have upgraded for all your ride. Come and get yours today! The Ultimate QMI Glass Nano Ceramic 9H Paint Protection Coating with Teflon For Your Car back by a 2 years Warranty. Easy install. Improve your car performance. PROMO AT $980 ONLY! Usual price $1,180! High quanlity staineless steel material SUS304 provides superior durability and glossy anti corrosion finish. Audio Panel (Black Grey) for Honda Civic 2009 - 2012. For Right-hand drive. Performance & Reliable Sedan for rent from $100. Free membership & cash back available when your rent from us! 3 Motorwerkz provides one stop Honda vehicle solution at the lowest cost! We are a one-stop solutions for all your commercial vehicle needs. Feel free to call us for further enquiry (67636363). Lease and pay for a month and get another half a month for free! Audio Panel for Honda Civic 2006 - 2012. For Left-hand drive. Leg Room LED Stripe Light . Available for every Car model ! Audio Panel for Honda Civic 2014. For Left-hand drive. Audio Panel (Grey Blue) for Honda Civic 2006 - 2011. For Right-hand drive. Audio Panel (Black Grey) for Honda Civic 2009 - 2012. For Left-hand drive. Audio Panel (Black Grey) for Honda Civic 2014. For Right-hand drive. Audio Panel (Grey) for Honda Civic 2012 - 2013. For Right-hand drive. Corporate/Personal/GRAB - Monthly rate @ $1,600. Maintenance & Comprehensive Insurance Covered. 24 Hr Breakdown Service! Rent yours today with us at 65 a day or as low as $50 per day if you rent for a total of 2 days. 8 PCS Genuine Carbon Fiber Door Handle For Honda Civic.Quality assurance and 2 Years Warranty by Direct Manufacturer. Mugen Style window visor (Black) for Honda Civic FD 2006-2012. Honda Accord, G9: FORCE Big 6 Pot Big Brake Kit. Rent a Honda Civic 1.6 with us at only $1350/ month. Drop us a call @ 64661009 to enquire or make a booking! Kindly approach Gibson at 9672 9559 for more details. European Standard 6000K / 8000K / 9000K day time running light ! Special Deal ! Grab it today !